Marking the 121st anniversary since the first Antarctic expedition in human history, an international team of nine scientists embarks on a journey to the frozen continent. Our choice of transport: a small sail boat. We are launching a crowdfunding campaign to support the preparation of a documentary about this extraordinary adventure. 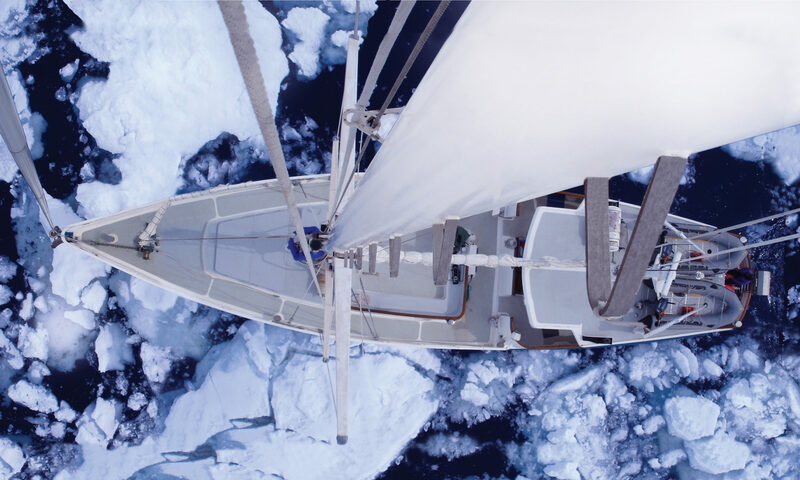 This documentary is an intimate account of a small group of ambitious individuals, who are passionate about introducing a more sustainable way of conducting Polar research to the science community. The harsh beauty of the Antarctic landscape is reflected in the rawness of the footage, which will be captured by the scientists themselves – above and below water. Some of the most deeply poetic and profoundly personal texts have been produced by the original explorers during what we today refer to as the “Heroic Age of Antarctic Exploration”. While the old diaries speak of the struggle for survival, this documentary rather resembles a first-hand video journal about the fervour that comes with realising ones aspirations, the hope for making a change, the strains of the sea, and the intensifying pressure of no escape.